It doesn’t matter if you are an athlete, a busy mom, or a health-conscious taster. 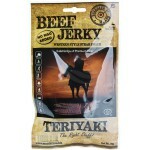 SirLoin Organic Beef Jerky Chili is a DAMN tasteful and healthful beef jerky! 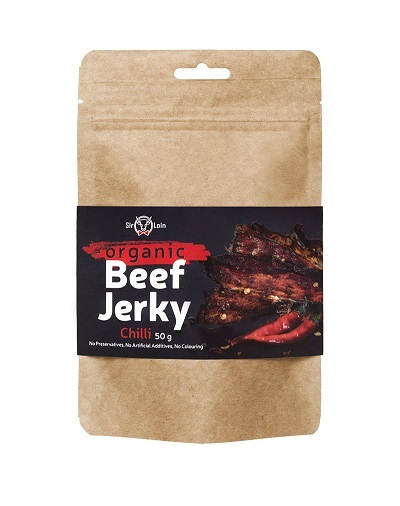 SirLoin Organic Beef Jerky Chili is a spicy snack for those looking for stronger tastes. The pungent flavour comes from various spices: chili, cayenne pepper and black pepper. 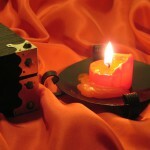 However, the combination of spices has been selected in a way to retain the initial flavour of the meat. SirLoin’s Organic Beef Jerky is inspired by the untouched nature around us. Only the best cuts of the organic beef are used, mixed together with carefully selected seasoning. 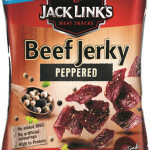 Apart from tasting great, our Beef Jerky is a superior source of protein, while low in fat and calories. The lightweight and nutritious combo is a healthy snack for everyone to enjoy! 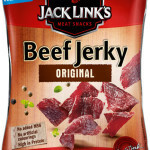 Ingredients: Organic beef* (made with 287 g beef per 100 g), *soysauce* (water, soybeans*, salt), worcestershire sauce* (vinegar*, sugar*, grape and blackberry juice concentrates*, spices*, herbs*), salt, honey*, chili pepper* (1%), spices*. *Certiﬁed organic ingredients. 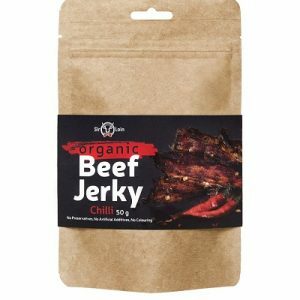 Be the first to review “SirLoin Organic Beef Jerky Chili, 50g” Click here to cancel reply.